Austin is home to a wonderful ballet, world-class museums, one-of-a-kind shopping and beautiful outdoor spaces as well as world class music events. Austin is often ranked one of the fittest cities in the country. From cycling to stand-up paddle boarding, water-biking to leisurely canoe-paddling – Austin offers an abundance of outdoor activities. And with 300 days of sunshine and an average temperature of 68 degrees, being active in Austin comes naturally. It is ranked as one of the best cycling cities in the country. 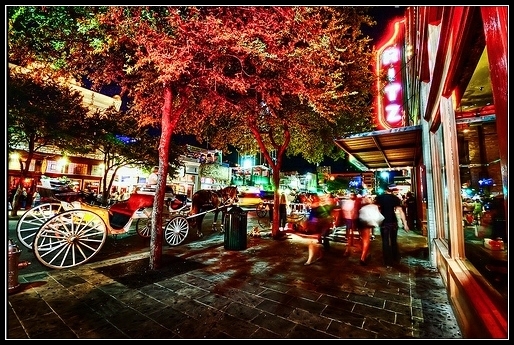 Austin is a city with no shortage of history or legend. From Texas’ last true dance hall, the Broken Spoke to the gas-station-turned-diner, Threadgill’s, where Janis Joplin once sang to Barton Springs, a natural pool in the center of town, first discovered in the 17th century there is much to explore. Austin is a 24-hour town populated by an upstart mix of musicians, techies, film pros, athletes and foodies. The Austin Marathon draws 20,000 runners from around the world. The inaugural Austin Food + Wine Festival is slated to welcome visitors from across the nation and showcase the best innovative cuisine. Fun Fun Fun Fest is known as the nation’s best underground punk and alternative music festival; and Fantastic Fest, which features sci-fi, horror, fantasy and other genre films, has become a favorite of film buffs and celebrities alike. SXSW Music, Film and Interactive Conferences and Festivals expand every year and the Austin City Limits Music Festival will once again welcome 70,000 fans per day to Zilker Park for performances by more than 100 bands.